Our camper was unfortunately caught up in a flood and totaled. We have decided to down grade back to a TT for the time being, and knowing we'll have it the next few years at very minimum, I think i'm going to sell my hitch. Am I expected to remove the rails from my PU bed when selling, or in most cases does the hitch go and the rails stay? My rails are bolted in from the inside of the bed, but the mounts are welded to my truck frame. Don’t have an answer but I am curious is the welding mentioned on your 16 RAM? Just sell the hitch without rails. Old coach 04 Pace Arrow 37C with brakes sometimes. Auto Restoration and Customs 32 years. Retired by a stroke! If the rails are a universal fit, which many are, I'd say it's up to you the seller, if you want to include them in the sale. If they are a more specific design that is made for just your brand/model hitch, then IMO, they should stay with the hitch. When we purchased our Anderson Ultimate, we sold our old hitch on craigslist without the rails. It sold in 2 days and the guy showed up to pick it up from 4 hours away. He had cash in hand. Strange that anyone would weld brackets on a 2016 RAM 3500 when it came with the puck brackets already on the frame. RAM advises against welding on these new frames. The pucks are fairly easy to add. I installed my pucks and wiring for an inbed 7 pin outlet in 4-4.5 hours working by myself! 10 bolt universal rails are cheap enough for anyone to replace. Personally, I wouldn’t want used ones since they take the brunt of the load. I’d just leave them the since you will have the holes in you bed either way. 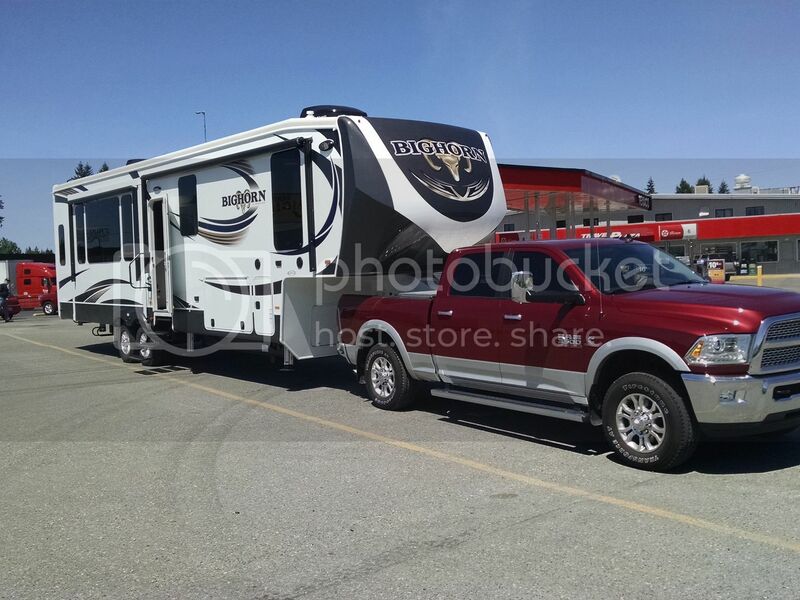 2018 Ram 3500 Crew Cab Laramie 6.7L, Aisin, air ride, Ram puck prep, SuperGlide 20K auto slide. 2018 Bighorn Traveler 4 slide w/Apt. It’s not what you’ve done that commands respect, it’s what you do.